Developments and enhancements to control, plasma and software systems have enabled significant improvements in cut quality and capability. Bolt ready holes can be cut without the need for any subsequent rework, and the edge quality even on the thicker materials is excellent. Looking for a cleaner cut? Traditional plasma is a very cost effective, tried and tested method of cut, but if you're looking to cut thinner materials, or achieve higher cut speeds, Kerf High Definition Plasma is the solution for you. 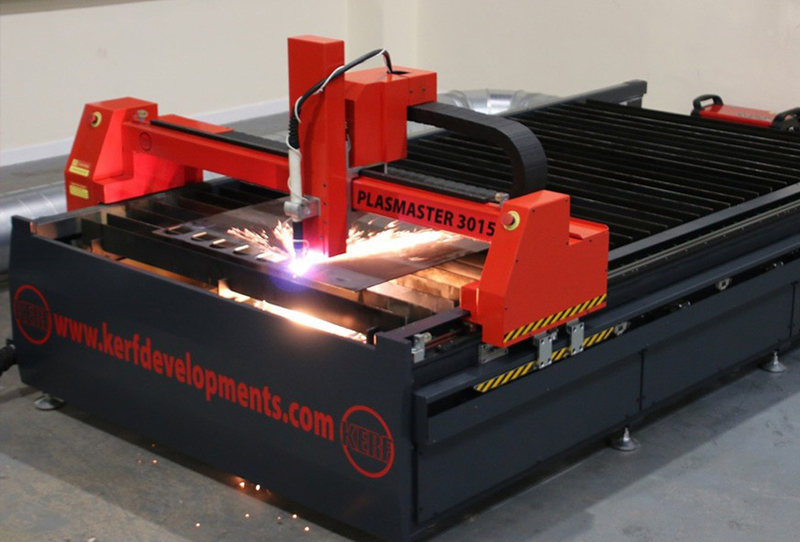 Using Kerf’s high definition plasma units we can achieve cut speeds of 3,300 mm/min on 12mm thick mild steel using one of our mid-range plasma units. 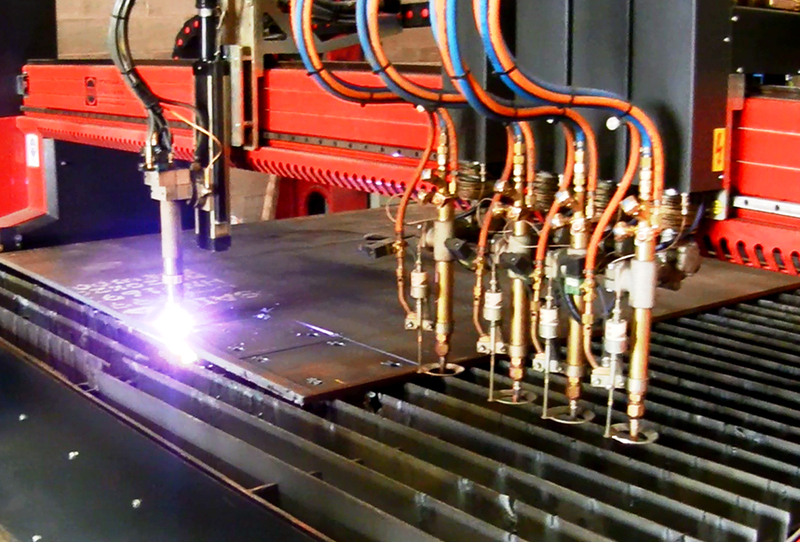 The plasma cutting process can pierce and cut mild steel from 1mm right the way through to 55mm thick. 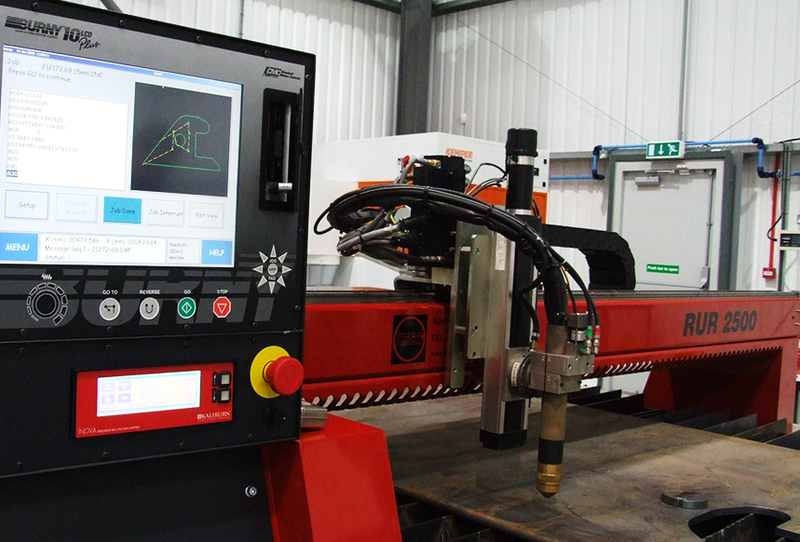 Kerf offers ‘Best in Class’ high definition cutting systems. We achieve this by selecting and recommending appropriate equipment from leading global suppliers. Based on your requirements, Kerf brings together a turnkey solution that meets your specification; this include the machine, software systems, installation, training and post-sales support.